An introduction to the marsupials of Australia and South America. What is a marsupial? What do they eat? And how do they raise their young? Marsupials are a type of mammal. Marsupials give birth to their young very early in pregnancy. 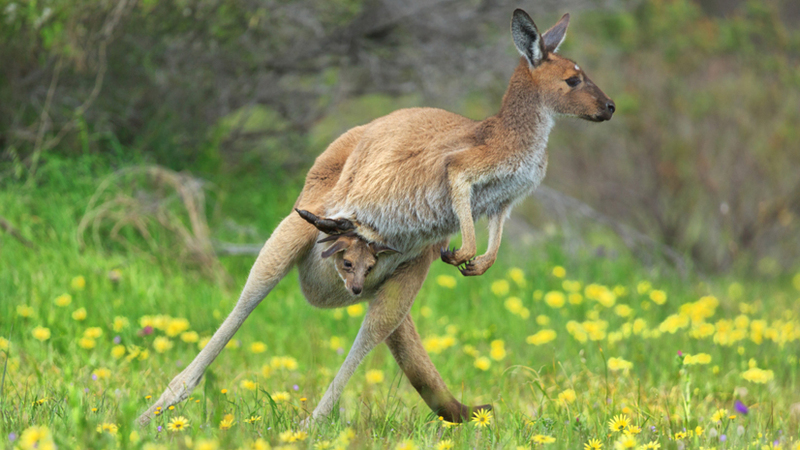 Offspring crawl into the mother's marsupium, or pouch, to develop further. Marsupials are split into eight orders, which include koalas, wombats, kangaroos, wallabies and possums. Marsupials are a type of mammal, they are warm-blooded, have fur, and give birth to live young. But marsupials give birth at a very early stage and the young are born underdeveloped, blind and without fur. So after birth they crawl into their mother's marsupium, where they will develop further.